This website was created with WordPress using hosting provided by NEKLS and the State Library. It’s purpose is to serve as a portal to the happenings of the Vermillion Public Library and the Vermillion Community. By browsing through this site, you will be able to gain a better understanding of what the library can offer you. The Vermillion Public Library is a neighborhood library and is under the guidance of the North Central Kansas Libraries system. Funding for the Library comes from a variety of sources: local property tax, state aid, federal, state, and system grants, fees and fines, and private donations. The staff consists of the director and seven board members. The unpaid director and board members assist in the direction and management of the library. The Manhattan Public Library serves as an information center for the citizens of Vermillion and the surrounding areas and makes an important contribution to the enhancement of the quality of life of this community. The library is funded primarily by a tax levied on property within the city limits of Vermillion and is governed by a seven member Board of Trustees, appointed by the Mayor for terms of four years. Our mission for the Library is to create and maintain an environment in which the people of our community can readily share resources which are the cultural, educational, and recreational expressions of society. 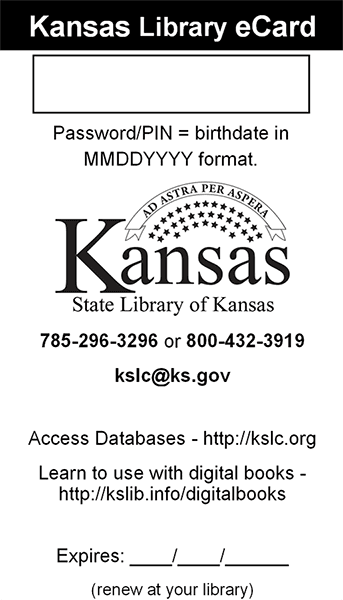 Vermillion Public Library subscribes the the American Library Association’s “Library Bill of Rights” as outlined below. Books and other library resources should be provided for the interest, information, and enlightenment of all people of the community the library serves. Materials should not be excluded because of the origin, background, or views of those contribution to their creation. Libraries which make exhibit spaces and meeting rooms available to the public they serve should make such facilities available on an equitable basis, regardless of the beliefs or affiliations or individuals or groups requiring their use.